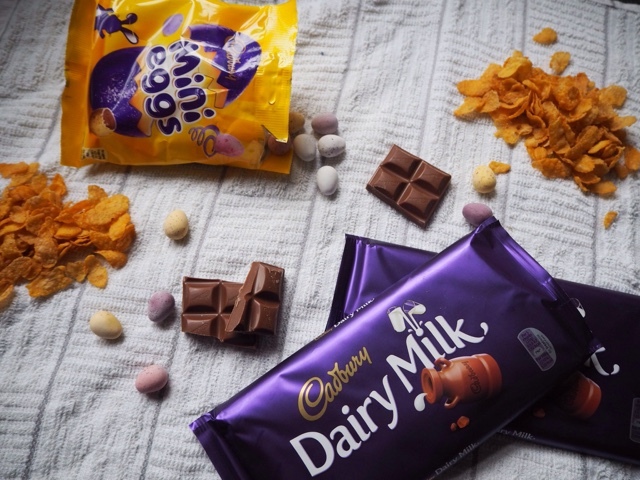 This is the time of year I completely associate with chocolate. 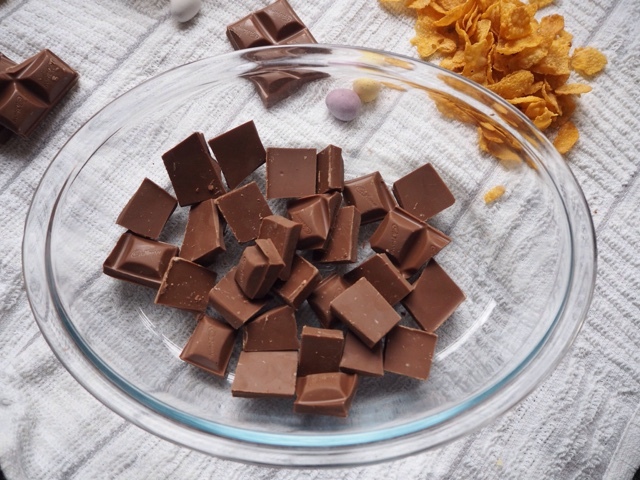 It just seems never ending and more often than not I end up with so much chocolate that I can't justify eating it all myself. 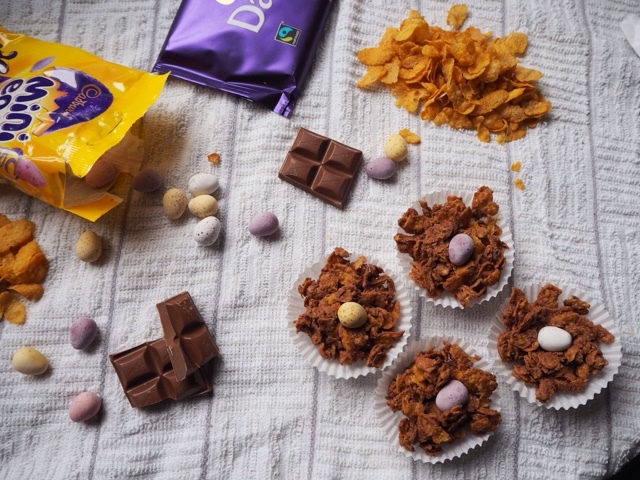 This year I have decided to use some of my Easter chocolate to create some little Easter nests to give to my family. 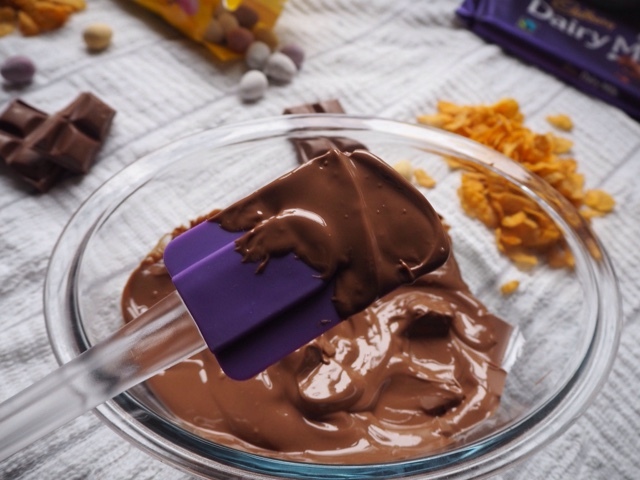 Break up the chocolate into little chunks into a heat-proof dish and place in the microwave. 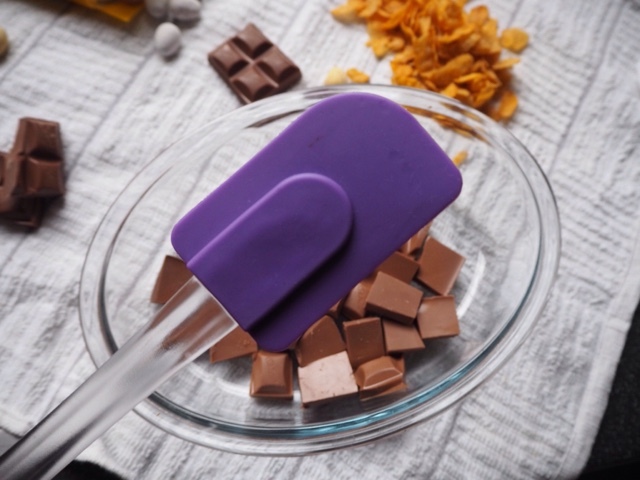 Heat up the chocolate checking on it every thirty seconds, giving it a stir until melted. 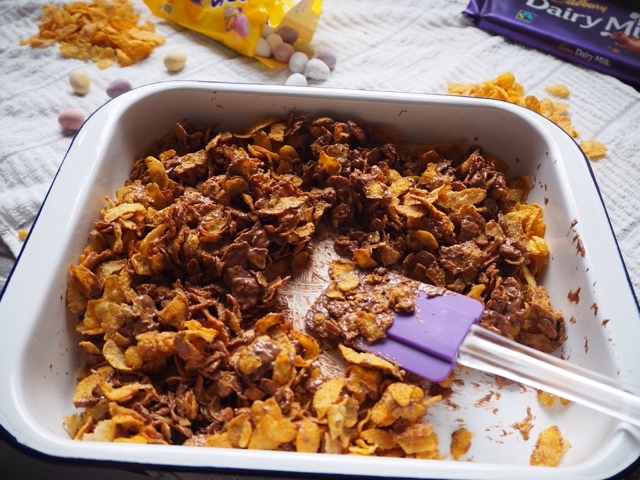 Pour melted chocolate on to a few hand-fulls of cornflakes. 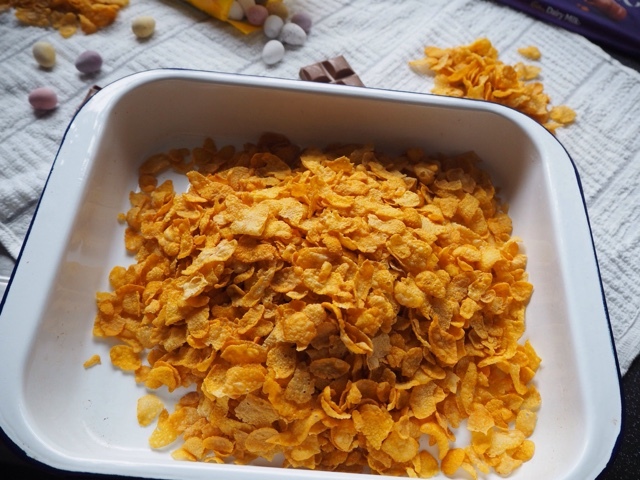 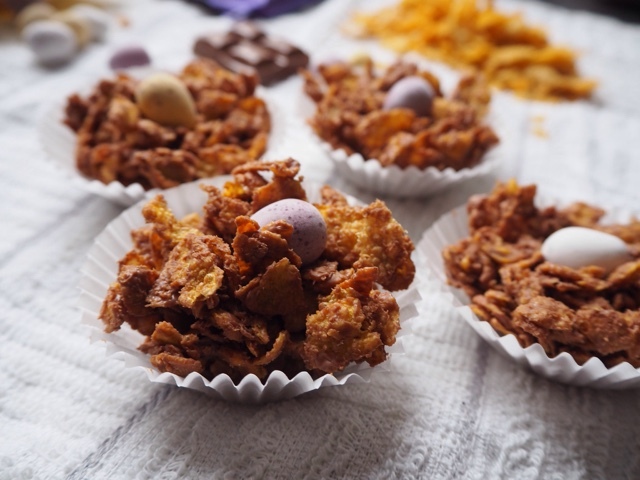 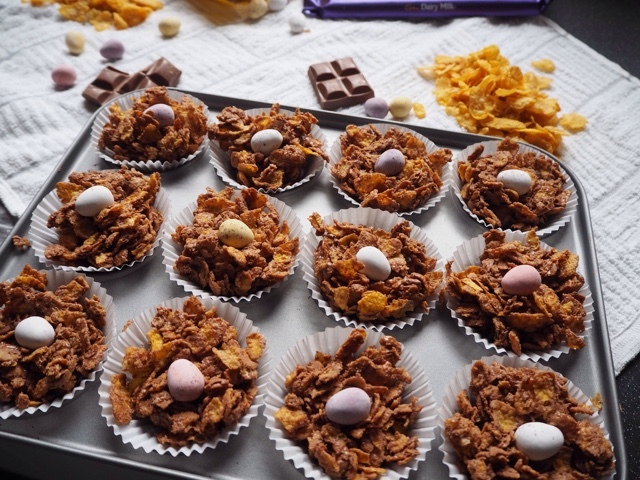 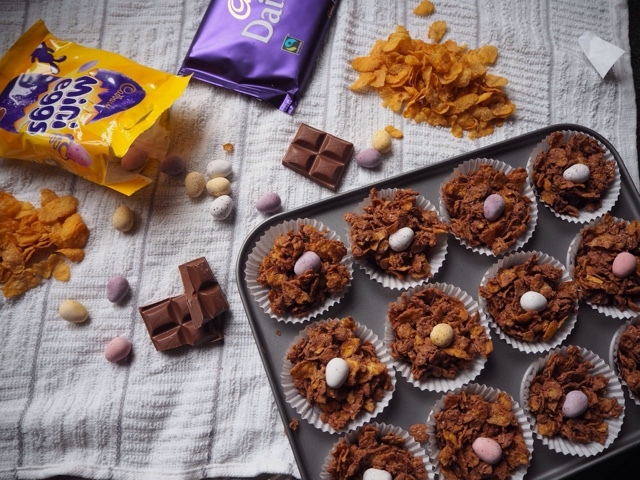 Use less or more depending on how chocolate-y you want your cornflake cakes to be. 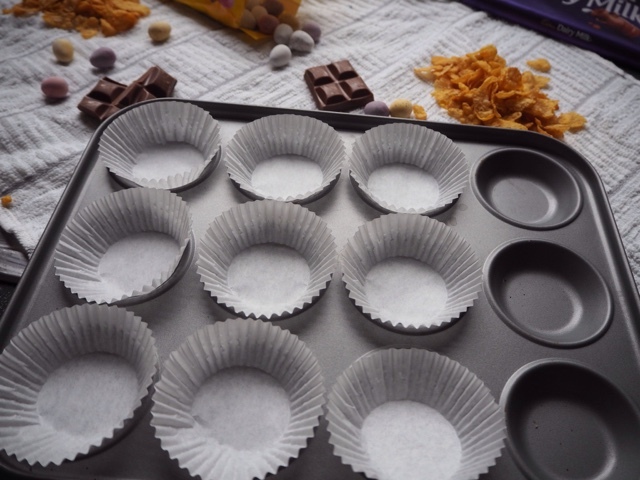 Once evenly mixed, spoon into bun cases, pressing firmly. 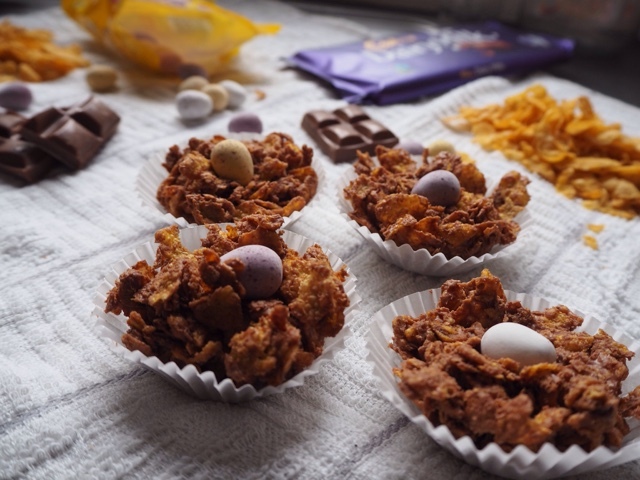 Add mini eggs to the top of each nest and place in the fridge to enable them to set. 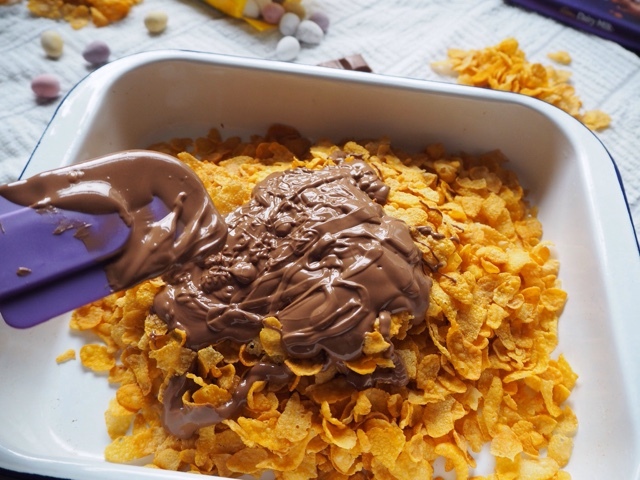 How do you like to use extra chocolate?